Novelist and poet Thomas Hardy was born in 1840 and died in 1928 in Dorset, England. While he published a good number of novels, most notably Far From the Madding Crowd and Tess of the d'Urbervilles, he saw himself primarily as a poet. After deeply critical reviews of Jude the Obscure, which questioned Victorian beliefs about marriage and was thus considered an immoral piece of work, Hardy turned to poetry exclusively. 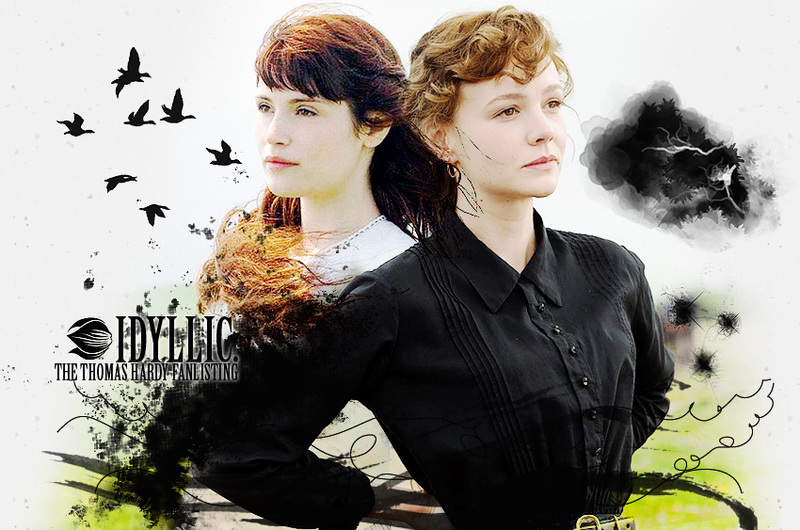 The header image features Carey Mulligan as Bathsheba Everdene (Far From the Madding Crowd) and Gemma Arterton as Tess Durbeyfield (Tess of the d'Urbervilles). This fanlisting was opened on May 24, 2018.